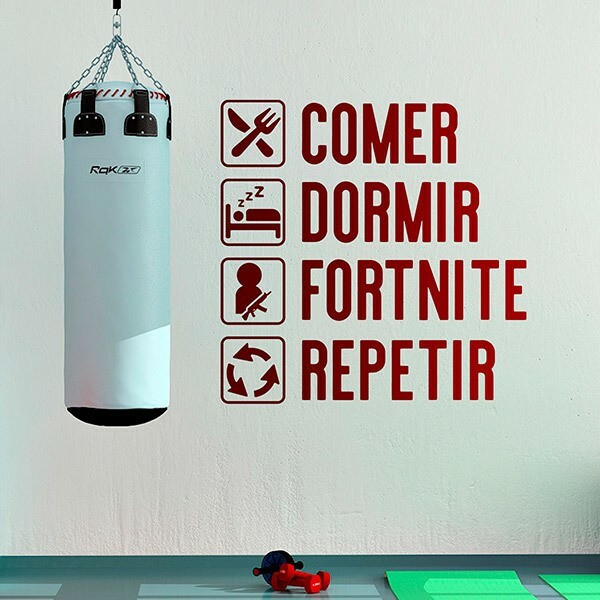 Wall sticker Routine Fortnite, in spanish. 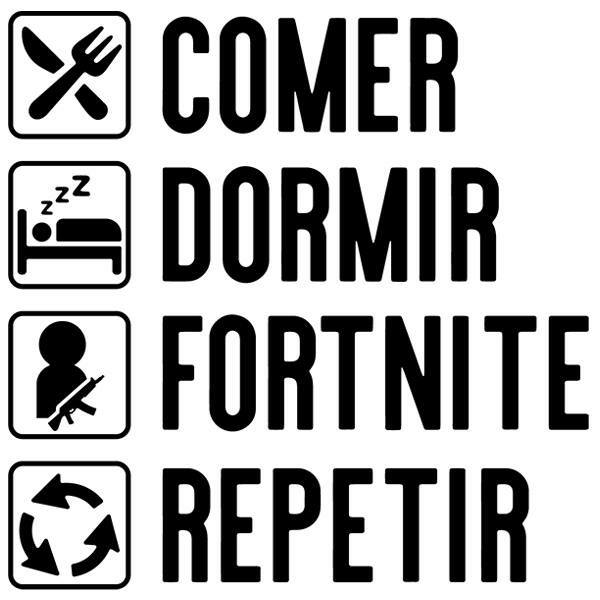 Original design of the routine icons of the fan of the Fortnite videogame, created by Epic Games. Eat, sleep, play Fortnite and repeat the previous sequence from the beginning, so on until the end of the days. Size: 69 x 19 cm.